Find your place, follow your passion. It's your time. You're committed to pursuing your goals in a field you love, and you want to build a great resume with experience that gives you an edge. 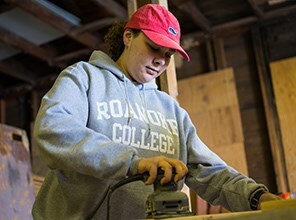 Get ready to learn, grow and work toward your future in the Roanoke College Fellows Program. Being a part of the Fellows Program puts you amongst a community of faculty and staff mentors and other highly motivated students in an environment of empowerment and opportunity. You will actively interact with others in your area of interest, both on campus and off campus, developing your skills and gaining invaluable experience. This unique opportunity will provide you with a practical perspective that will guide you down your career path. 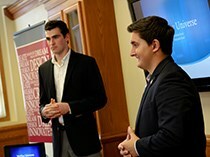 All finalists who interview receive a $1,000 per year scholarship. Award recipients also receive a paid position or other benefits. Multiple fellowships will be awarded in each area of interest. 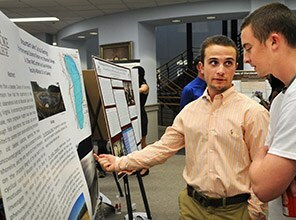 Conduct meaningful, high-level research with a faculty mentor and present your work on and off campus. 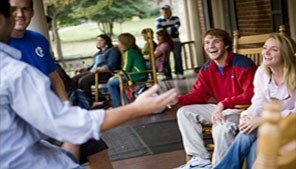 You will participate in paid on-campus work in the field of research. 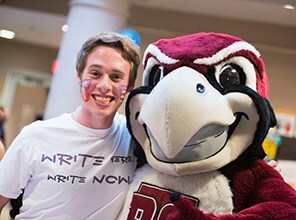 Be part of the peer tutor team in the Writing Center, taking on other roles as you increase your skills. 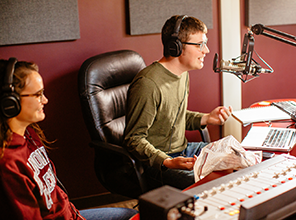 You will participate in paid on-campus work in the field of writing and oral communication. Develop professional skills as part of the team that assists students, faculty and staff with technology. You will participate in paid on-campus work in the field of information technology. Collaborate with the local business community and like-minded, inspired students and mentors, and pitch your own business ideas to outside professionals. Engage with the college and local communities through volunteerism and partnership. You will participate in paid on-campus work in the field of service leadership. What's your why? Who and whose are you? As a Campus Ministry Fellow, you will work with a team of faith-inspired people who strive to lead whole lives by seeking and living their why. Are you interested in gaining experience and leadership skills working as part of a team in the Media Arts or Event Production and Operations? Student Activities Fellows will work with the Colket Center staff, student managers and leadership boards to improve student skills in creating, developing and producing entertainment, media and educational programs to enrich student life on campus. 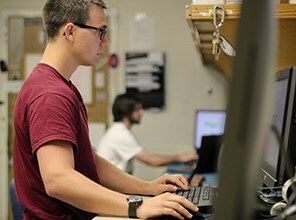 As a GIS Fellow, you will provide ongoing support for the use of GIS on the Roanoke College campus in teaching, research, and campus operations. You will develop hands-on skills in GIS and apply these skills to support the use of GIS by students, faculty, and staff. The Sustainability Fellow will work closely with a team of dedicated, likeminded people from the RC Energy Conservation Program, RC Sustain, and the Environmental Studies Department on projects that promote campus sustainability. As a Leadership Fellow, you will be part of a team of highly motivated students working toward building and identifying your own leadership style. 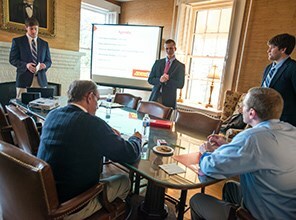 After applying for the program, finalists will be invited to participate in on-campus interviews with faculty and staff in the program's area of focus. Applicants who interview will receive a $1,000 scholarship per year. Students ultimately chosen for the Fellows Program will participate in work in their chosen program field, earning either an hourly wage for their work on campus or other benefits. Apply to the Fellows Program by clicking the button below. Each program will require a different set of questions to be answered as part of the application process, and you can find the questions by clicking on the individual program links. The program is open to new students only. 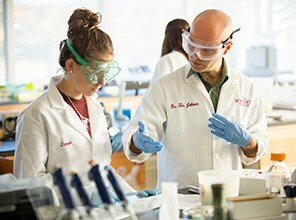 Please note that Honors Program admission supersedes any application to the Roanoke College Fellows Program, as Honors is the more comprehensive of the programs.